SQS India BFSI Limited is the leading Business Assurance and Testing Specialist focusing exclusively on the Financial Sector. With a successful track record of over 15 years, and more than 14 million person-hours of Testing, the company has served 150 plus customers in APAC, USA, UK and Middle East. It is a public company listed in both BSE and NSE with its registered office in Chennai. The company is ISO 9001:2015 and ISO 27001:2013 certified, both its Chennai Test centers are SSAE 16/ISAE 3402 compliant and one of the centers is PCI:DSS compliant. SQS India BFSI Limited helps clients reduce software product life cycle costs and develop ‘business ready software’ within compressed timelines, through intense domain focus, structured software testing methodologies, offshore delivery, and test automation expertise. The company also has the distinction of maintaining life-cycle standards in execution, coverage, quality and confidentiality. Its financial software testing services have helped system integrators and product development companies to achieve near defect-free rollouts of software products such as PRIME, TS2®, VisionPLUS®, Oracle FLEXCUBE®, T24, Equation, B@ncs24, CS Eximbills, FinnOne™, Kondor+, Pan Credit, TS2, Siebel, Newton, Kastle, Genius, Premia, MIDAS, ClarityQ and Finacle. 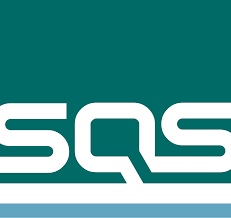 SQS India BFSI Limited is part of the SQS Group, the world’s leading specialist in software quality. Board of Directors of the Company at its meeting held on January 31, 2019, to approve the Buyback of Equity Shares by the Company of up to 4,60,896 (Four lakhs Sixty thousand Eight hundred and Ninety-Six) fully paid up equity shares of face value of INR 10 (Indian Rupees Ten) each representing 4.30% of the total number of outstanding equity shares of the Company, at a price of up to Rs.550/- (Indian Rupees Five hundred and Fifty only) per equity share, for an aggregate amount of not exceeding Rs. 25,34,92,800/- (Rupees Twenty Five Crore Thirty Four Lakhs Ninety Two Thousand Eight Hundred Only), in accordance with the requirements of the Companies Act, 2013 read with the Securities and Exchange Board of India (Buy-Back of Securities) Regulations, 2018. 1. Firstly, to be eligible for the buyback the investor should have shares of SQS India BFSI Buyback 2019 in demat or physical form as on the record date [ 12.4.2019 ]. 2. Once you have shares in demat, you can participate in the buyback process which is opening from [Not Announced Yet] by selling your shares through your broker on NSE or BSE. 3. Then on [Not Announced Yet], the payment will be given to you for accepted shares and unaccepted shares will be returned to your demat account.